We made it to my favorite season, yet I’m getting the feeling that Mother Nature has skipped over the best parts and headed straight to the cold weather! I’ve armed myself with my warmest hoodie sweatshirt, Smartwool socks and one of my favorite meals – polenta with mushrooms to break that chill! 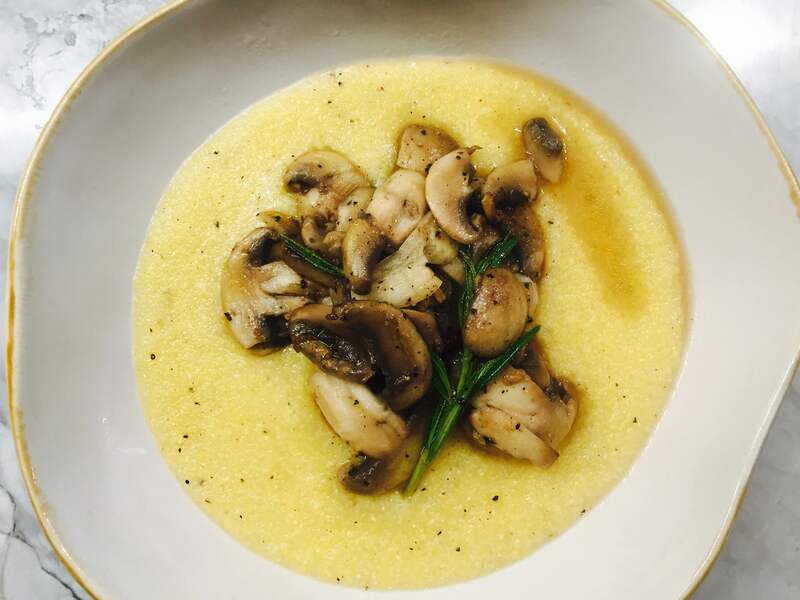 This polenta dish is pretty simple – creamy polenta, mushrooms, garlic and a sprig of rosemary. A warm, yet bright meal which goes against what Mother Nature is dishing outside my window right now….Brrr! P.S. This is dish is great with chickpeas, greens, or blistered cherry tomatoes if you are up for some variations! Make the polenta: Bring 4 cups of water to a boil with a few big pinches of salt. Gradually add the polenta while whisking. Continue whisking for a few minutes until smooth & not lumpy. Turn heat off, whisk in butter, salt, pepper & cheese. Taste and adjust seasonings. Set aside. In a large skillet, heat olive oil. Add the rosemary sprig, smashed garlic clove, mushrooms and a few pinches of salt. 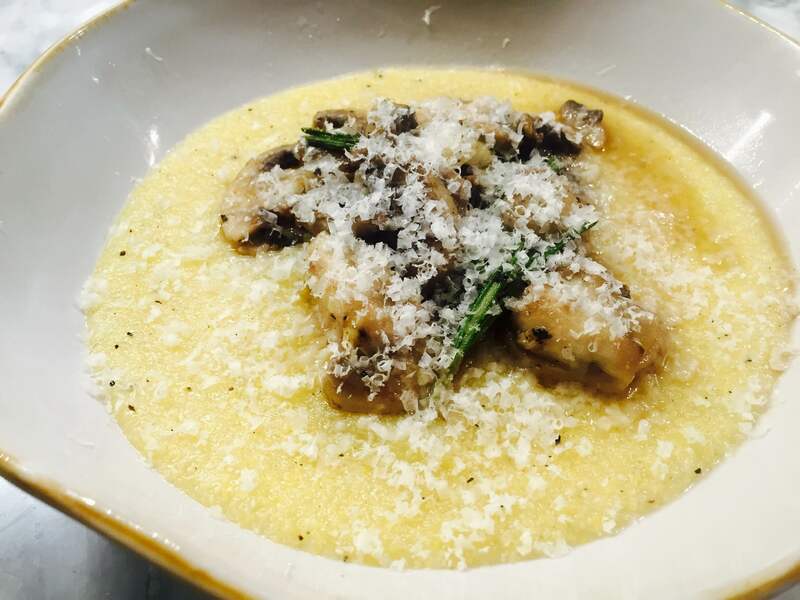 Serve the polenta topped with mushrooms and freshly grated Parmesan cheese. Posted on October 5, 2015 January 11, 2016 by Table Without BordersPosted in RecipesTagged clean eats, cold weather, DIY, eat clean, Fall, fall meal, fitfam, fitgirl, fitkitchen, food, food photo, Healthy, healthy eats, homemade, Italian, Mother Nature, mushrooms, polenta, recipe, Smartwool, warming meal, winter meal.